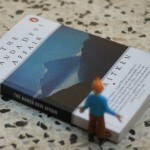 My love for books is older than my love for travel. But with Chhavi around reading has gone down. 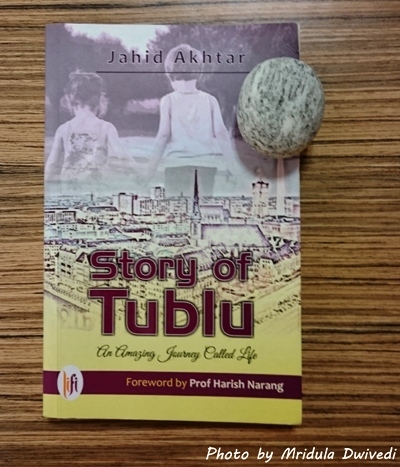 So when I got Story of Tublu: An Amazing Journey Called Life from Jahid Akhtar I was not sure how long I would take to finish it. I took it on my trip to Shivpuri and I could actually finish it pretty fast. So, The Story of Tublu is actually a quick read. I have read Jahid’s blog quite regularly so I feel very happy for him that he has come out with a book. The Story of Tublu as the name suggests is the story of Tublu, but it is equally the story of Maina as well. Bipin and his small boy move to a bigger city because their village is devastated by floods. They find shelter at the house of the Sharmas. Bipin finds employment and Tublu starts school. Reminiscent of earlier days and small towns, the Sharma family sort of adopts the father and son from the village. Growing up, Tublu falls in love with Maina, the daughter of the household, but he remains silent about it. Will he ever be able to find his love? Read the book and find out. The narration is straightforward. 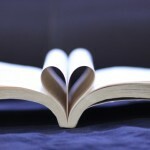 The language of the book is easy to understand, you would not be running for a dictionary time and again! It is an easy to read book. The book deals with three phases- when the main characters are in school, when they go to college and when they start working. I think I enjoyed the college phase the most! Tublu comes across as a sweet, mature boy. I do not see any shades of grey in his nature. Maina is more complex. For her life was not so straightforward. She goes through serious ups and downs in her life. There is a long list of supporting cast in the book, Tublu’s friend’s, Maina’s family and Maina’s boyfriend. A lot of characters in the book are nice, sweet and straightforward. If you are looking for a romantic book which is not simply a love story, you would enjoy reading the book. PS. I was given the review copy of the book by Jhaid Akhtar. Your written The Plot is almost like a synopsis of a super-hit movie and I think of a movie – Muqaddar Ka Sikandar.